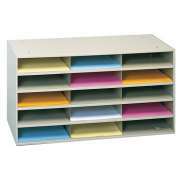 Purchase Paper Storage For Your Classroom or Office! 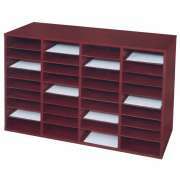 How can a school keep the paper supply organized? 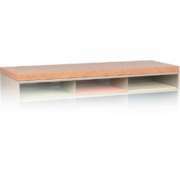 With paper storage from Hertz Furniture, it’s easy to ensure that supplies stay where you need them. 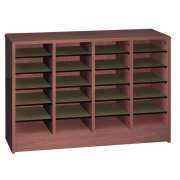 With freestanding and tabletop paper organizers and paper racks in many different sizes, you can keep all kinds of paper supplies organized and accessible. 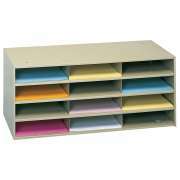 Paper sorters are great for the classroom, art room, teachers room or supply closet. 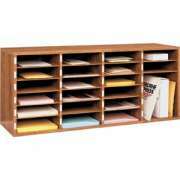 Wherever you do projects and printing, you can save lots of time by keeping things organized. 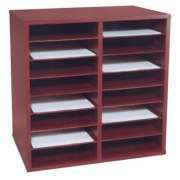 Whether you want to sort by color, size, student or subject, you can find a design that will fit your needs - and then some. What is the best way to store paper rolls? A paper roll rack is the best place by far to store paper rolls. Rather than having to lift rolls and try cutting them with regular scissors, rack allow you to simply measure out what you need and easily cut according to your needs and specifications. Built-in paper cutters ensure that you get a straight edge and prevent paper from unravelling and getting ruined. 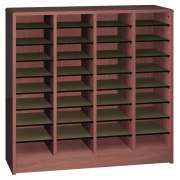 Which paper roll rack should I get? 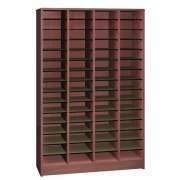 The reason there are different paper racks to choose from is because everybody needs something different. 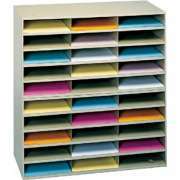 Individual paper roll dispensers are good for those who consistently use the same color and size on a regular basis. 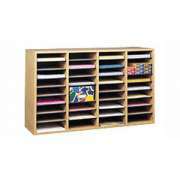 Most schools will probably prefer racks which hold multiple rolls so they have a selection of colors for bulletin boards, posters and other projects. 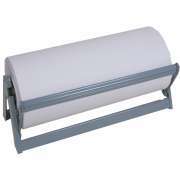 The most convenient option for those who need paper in many different places is a paper roll dispenser on wheels. 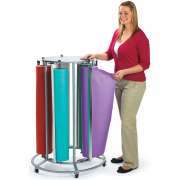 A teacher can simply roll the whole rack to wherever poster paper is needed rather than having to lift rolls or drag precut paper down the hall. 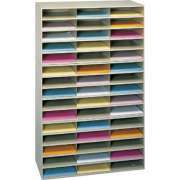 You can choose models which store the paper rolls horizontally or vertically with different roll capacities to fit the number of colors and sizes you need. 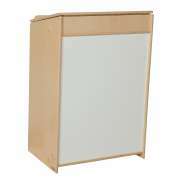 We also have freestanding paper roll dispensers which are perfect for an art room or a supply closet. Where can you organize art paper? The best way to arrange art paper for storage is in a paper organizer. 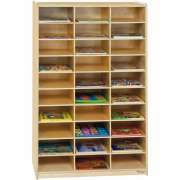 With slots that are the perfect size, you can designate a cubby for each color or assign each student a slot to keep all of their pictures together so they won’t get mixed up or forgotten. Whatever you choose to use the paper sorter for, you will definitely be happy to say goodbye to stacks of projects and crumpled papers. 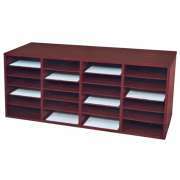 Paper sorters come in a variety of sizes and styles. To choose the best one, it is ideal to decide where you want to put it and what you want to use it for before making a decision. 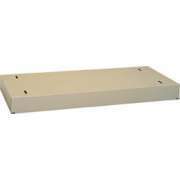 You can get one that stands directly on the floor or a tabletop model to keep everything in easy reach. 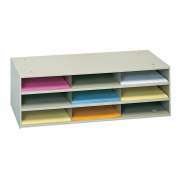 We even have a wonderful preschool writing center with a built-in paper organizer so little ones can choose between lined and unlined paper in different colors independently while they are working. 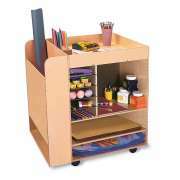 There is also an art cart with a built-in literature organizer so you can even keep supplies neat on the go.